There are some files on your web server are hidden for security purpose. They could be anything; configuration file, setting file, error log and etc. 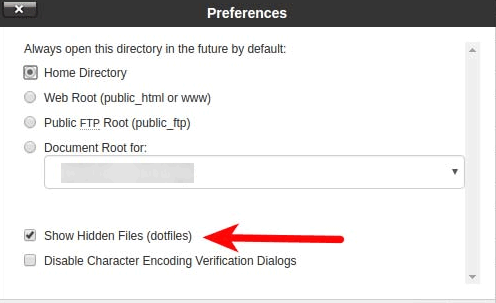 However, if you need to access these hidden files, you can do so by enabling cPanel to show hidden files. 2. At the bottom of the page, click “reset all interface settings”. Or under your cPanel account name. 3. When you access “File Manager” the next time, a pop up will appear and you can enable the option to view hidden files.